Want an easy way to track scores when playing games, and then email the results? ScoreKeepr is a handy app for exactly that. Includes a button to cancel scores for trick-taking card games, or to indicate with a — the player that went out. FREE version supports 4 players and 10 rounds of play. Hope you enjoy this score keeper for all kinds of games, like golf, cards, dice, dominoes and more. Posted to the Android Market on Dec 19th, 2011. 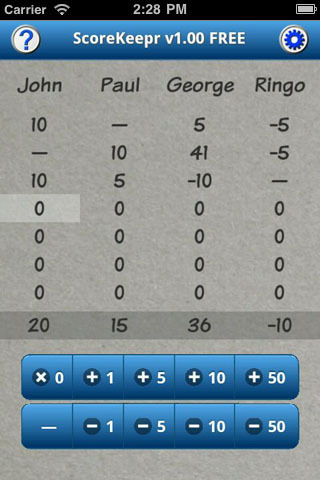 This is the first version of the ScoreKeepr app for Android phones and tablets. Approved by the Apple iTunes App Store January 9th 2012. 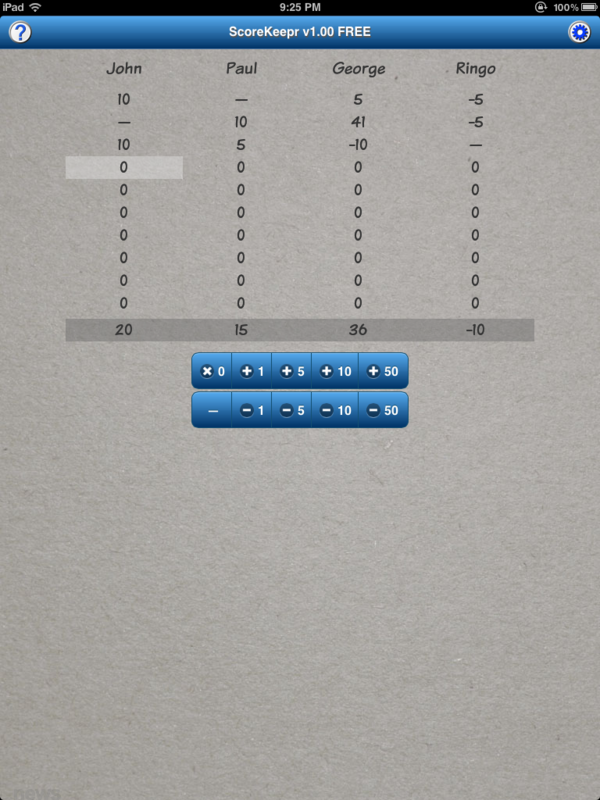 This is the first version of the ScoreKeepr app for iPhone, iPod Touch and iPad.